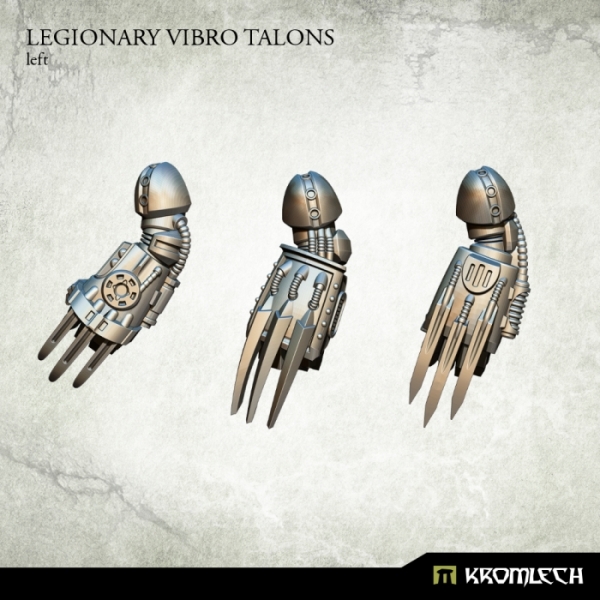 This set contains three left Legionary Vibro Talons. 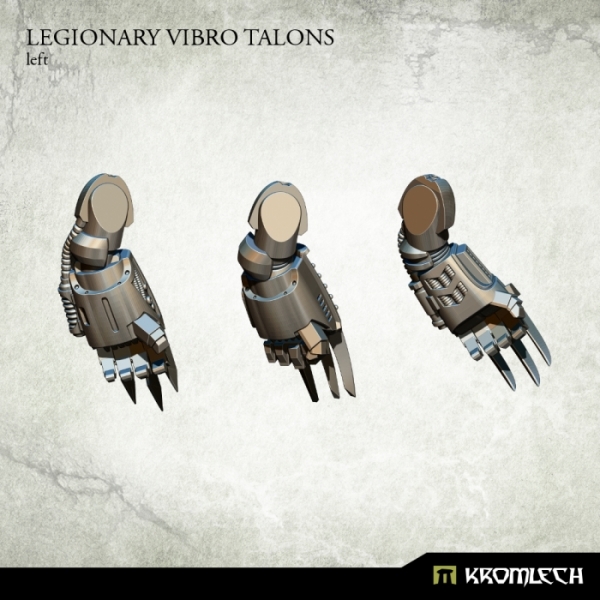 Designed to fit heavy armoured futuristic troopers (heroic 28mm scale) turning them into fearsome close combat specialists. Master model by Robert Kurek.